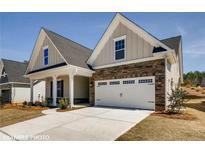 Find Wesley Chapel, NC New Homes for sale. View Photos, Maps and MLS Data Now! Known for our energy-efficient features, our homes help you live a healthier and quieter lifestyle while saving thousands of dollars on utility bills. MLS#3457724. Meritage Homes of the Carolina. Known for our energy-efficient features, our homes help you live a healthier and quieter lifestyle while saving thousands of dollars on utility bills. MLS#3452370. Meritage Homes of the Carolina. Close proximity to I-485, shopping, restaurants and recreation. MLS#3447036. Plowman Properties LLC. Known for our energy-efficient features, our homes help you live a healthier and quieter lifestyle while saving thousands of dollars on utility bills. MLS#3441341. Meritage Homes of the Carolina. Known for our energy-efficient features, our homes help you live a healthier and quieter lifestyle while saving thousands of dollars on utility bills. MLS#3441744. Meritage Homes of the Carolina. Known for our energy-efficient features, our homes help you live a healthier and quieter lifestyle while saving thousands of dollars on utility bills. MLS#3441334. Meritage Homes of the Carolina. Close proximity to I-485, shopping, restaurants and recreation. MLS#3432599. Plowman Properties LLC. Enjoy an established community and new customesq home at a below market replacement cost..... a rare combination! MLS#3424524. Taylor Morrison of Carolinas Inc.